Helene Wasserman | Littler Mendelson P.C. In addition, she conducts in-house training on a wide array of topics. An avid podcaster and the host of the EmployerHelpCast, which focuses on topics of interest to employers, Helene is frequently featured and quoted in various publications on subjects ranging from all aspects of employment law to the use of technology in the legal profession. She also presents on various employment law-related topics for professional associations and delivers numerous in-house presentations for clients. Helene often works with clients and small businesses in the hospitality, staffing, construction and transportation industries. 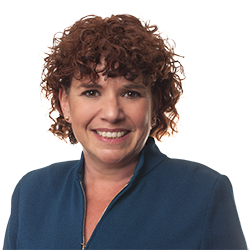 Helene started her career in employment law in Littler Mendelson's San Francisco office. She also spent time working at a small Los Angeles employment law boutique and a national employment law firm before returning to Littler in 2008. She is currently developing the Littler LA Associate Mentorship program. Is HQ Trivia the Hot New Distraction at Your HQ? Does Cupid Have Your Employees In His Sights?